Rockstar is pretty much to the video game industry what the South is to hip hop. They may not be as 'abstract' as everyone else, but they add thier own unique twists to tried and true gaming conventions that, other developers will be all too happy to try to emulate. (See Driv3er, True Crime, and Narc) So with that in mind, lets look at 2 of thier most recent games. 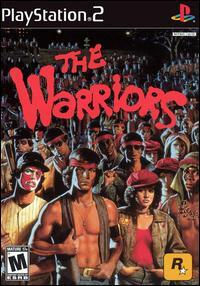 The warriors is based upon the cult classic 1979 film. THis is probably one of the most refrenced films in hip hop next to scarface. ANyone who has seen the film can tell that that could make a game in and of itself, but Rockstar manages to add in new content to flesh out the backstory. You'll learn how the warriors spent the summer leading up to the big meeting, get up close and personal with the gangs seen only briefly in the film, and even learned how the gang got together. The game starts at the fateful night where gang leader and visionary Cyrus is gunned down, but in a Quentin Taratino-esque twist, we flashback to 3 months before the meeting, which comprimises 2/3rds of the game. Rockstar attempts to reinvent the brawler for a new generation (an act barely achieved successfully by fighting force and Gekkido on the PS1) by combining elements of thier other titles such as GTA and Manhunt, and they succeed. The environments are large and open with hidden objectives to discover, and some stealth elements and minigames help move this game away from the same ol same ol brawler territory. Also to note is the team dynamic, in which you can use the right analog stick to issue commands to your AI controlled teammates. Although it takes some time to get used to, this isn't complicated at all, and you can do anything from having them wreck the place to watching your back. The game also does a fine job of capturing the look and feel of the movie throughout the game, as much of the last third of the game is directly out of the movie. Several unlockables (including a double dragon-esque arcade game) help round this out and keep players comming back for more. 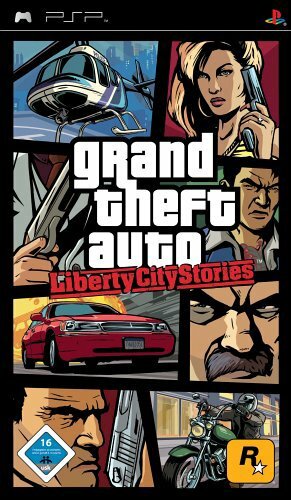 As the latest entry in Rockstar's franchise, Grand Theft Auto: Liberty city stories dosen't do anything that hasn't been done in the past three entries, almost being a step backwards, as many of the features and enhancements from Vice City and San Andreas have been left out. Your protagonist can't swim, targeting is as cumbersome as ever, and many of the missions seem either bland of fustrating. However, as a PSP game, GTA LCS is one of the first real 'must buy' games for the system. It contains everything that GTA is known for (a free open world, a dirty sense of humor, a somewhat compelling plot, and a vast selection of weapons and vehicles to utilize in order to wreak havoc on civilians), and it brings every square foot of liberty city to PSP. Also, this is the first version to feature wireless multiplayer. ALthough it's ad-hoc only, it's still nice to finally have this in a game without having to rely on a PC hack. Also intresting to note is that a save game exploit can be used to load homebrew games for users stuck with an upgraded PSP.